Metro.Cable is a customizable time-domain reflectometer (TDR) to characterize and locate faults in metallic cables of any nature (i.e. untwisted lines, twisted pair wire, coaxial cable, non-standard bundle, etc.). It can also be used to locate discontinuities, bandwidth, FEXT, or any other impairment in the electrical path. It has two default interfaces BNC and RJ45 for coaxial cables and Ethernet cables, while the third interface can be adapted to any demand to satisfy the necessity of fault location in non-standard cables. Metro.Cable has native interfaces for the most popular cables used in telecoms, coaxial & twisted pairs, that are connected to the board by means of BNC and RJ45 conectors. Field engineers can test installations for Ethernet, E1/PDH/SDH, TV, radio and more. Metro.Cable can also satisfy the need of testing special cables made of two, three or any number of conductors. In order to make it possible Metro cable uses two adapters: the Near-end and the Far-end Active Loop that facilitate the selection of each pair and the generation of special test signals. Near-end adapter is a switching matrix that allow the selection of any pair of conductors to execute the TDR test. Far-end adapter communicated with an independent media with the Metro.Cable board can open/close any two circuits, generate a tone or a special impedance. AT.Mcab.HH Metro.Cable Hanheld. 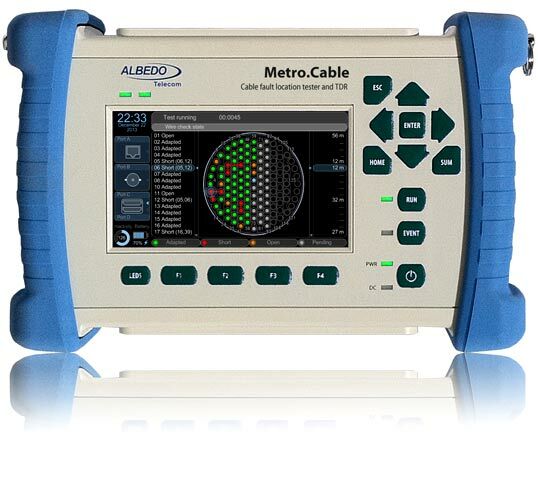 Albedo Metro.Cable multi interfaces TDR. The instrument show the WireMap, detect shorts, opens and distances to fault in different interfaces including BNC, RJ45 and special cables by the use of adapters. 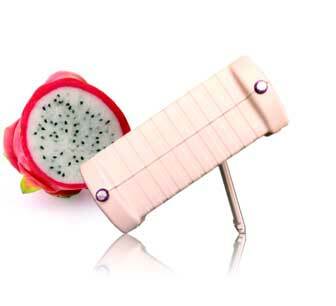 The TDR accuracy is +-10cm and the maximum test length is 150m. Includes internal battery pack, AC/DC adapter and transportation bag. AT.Mcab.128A Metro.Cable 128 Pins adapter. Near-end adapter to measure on MIL-STD-1553B Data Bus including 128 Pins. Using this adapter with the Albedo Metro.Cable a test of the quality of a 128Pin cable is possible, showing the Opens, Shorts and the distances for each one of the pins. 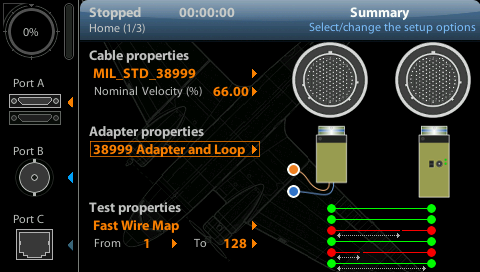 If the Loopback device is installed, the WireMap of the cable is available. AT.Mcab.128 Metro.Cable 128 Pins Loop Back. Far-end Control Loop device necessary to create the WireMap on a MIL-STD-1553B Data Bus including 128 Pins. Includes internal battery pack, AC/DC adapter and power cord.